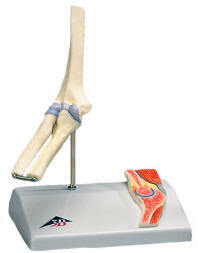 Also See: Skeletal Joint Sets (Bones without Muscles)/ Great models of functional joints. 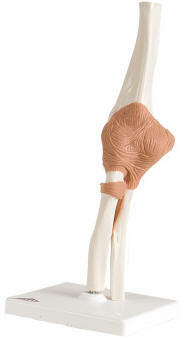 This model shows the right elbow of a male with individual muscles plus muscular origin and insertions on the humerus, radius and ulna. 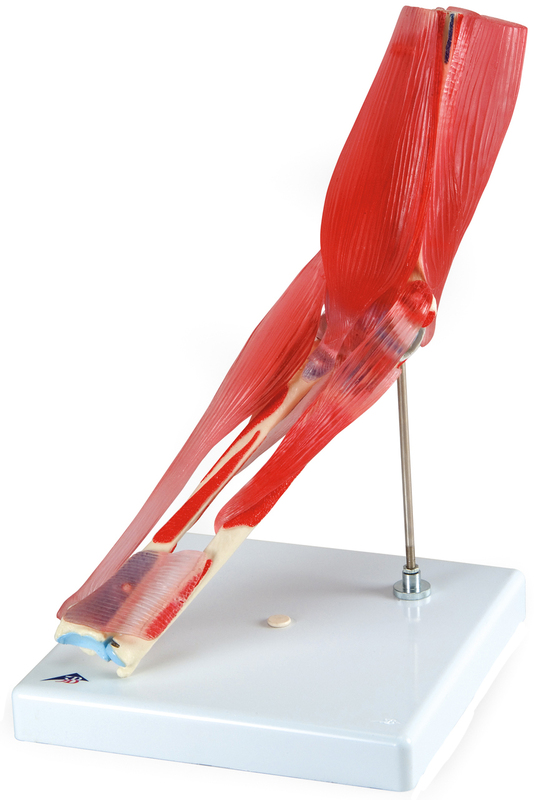 For didactic reasons, the areas of the muscular origins (red) and insertion (blue) are raised and color coded. 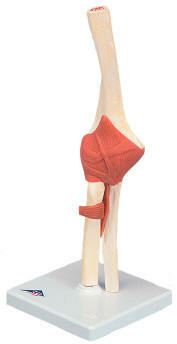 The muscles can be attached to and removed from the from the corresponding area of origin and insertion.